I make additions and corrections to this web site frequently, but because they are buried somewhere on one of the pages the changes are not very noticeable. I decided to create this blog to highlight new material. Here below you will find part of one of the pages that is either completely new or I have recently changed or added to significantly. This section is from my page about my handmade sterling silver and carat gold buckles. These are authentic replicas of buckles made in sterling silver and gold during the Great War (1914-18). They are handmade by me in an old hay loft in Cheshire, England, and hallmarked at the London Assay Office at Goldsmiths' Hall, exactly as the originals were over one hundred years ago. 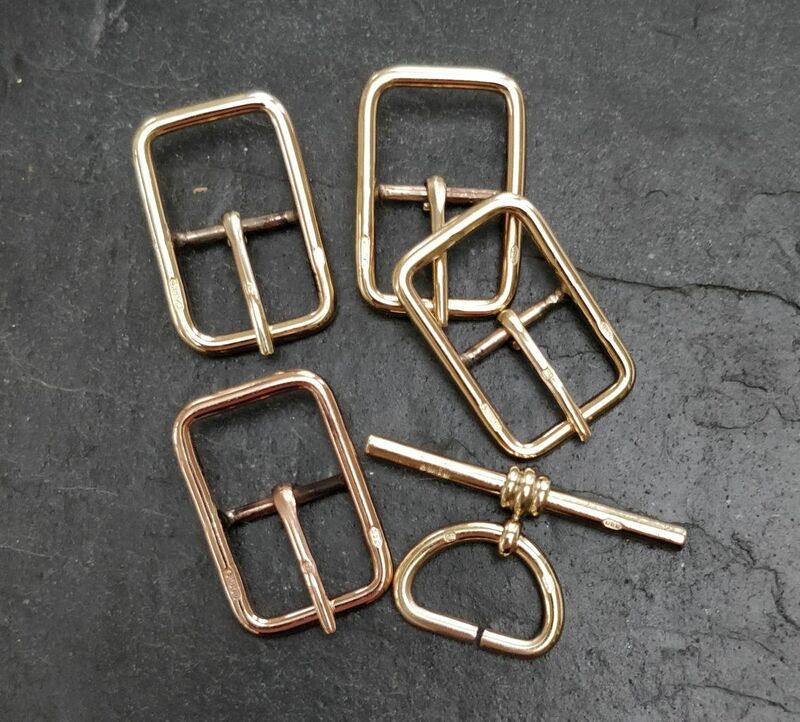 If you have a trench watch from the Great War with a gold or silver case, these buckles are the perfect finishing touch to one of my replica straps.